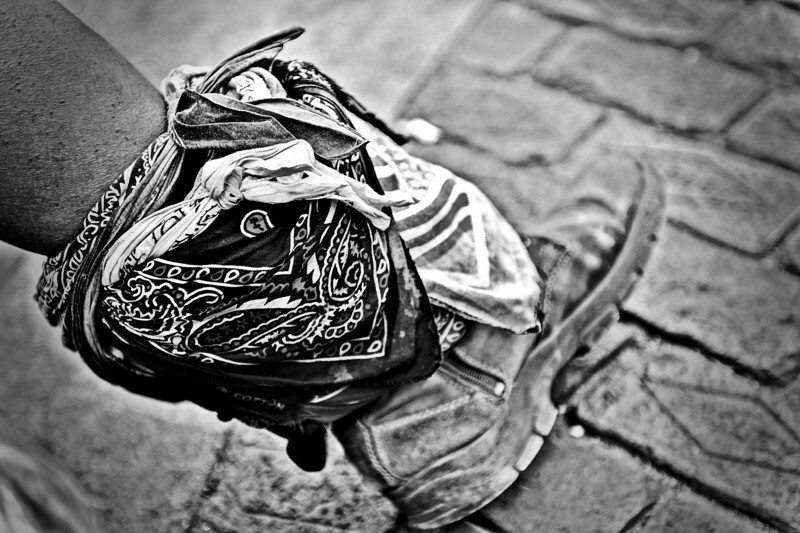 Scarves, bandanas, colors...around each ankle is an eclectic collection. I imagine that each one has a specific significance. We didn't know each other well enough for me to pry into the stories behind the choices for each ankle. Both ankles are similarly wrapped but each one is has its own unique blend.